We are delighted that the Art School’s beautiful new entrance and atrium, which opened earlier this year, is featured in the latest issue of Architects’ Journal. 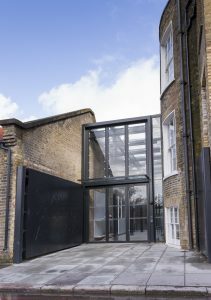 The article features several photos of the project, as well as a discussion of the design by Alan Higgs Architects, the firm which has been overseeing the Art School’s masterplan for the past decade. Have a look at the article and come and see this wonderful new architectural intervention for yourself!